A native of Huntsville, Ala., Richard Dendy received his B.F.A. from Auburn University in 1979 and his M.V.A. from Georgia State University in 1983. 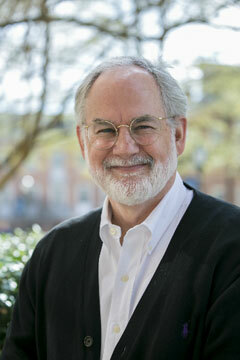 He began his teaching career at Auburn University in 1982 and taught there for three years before moving to Montevallo. He was a visiting professor at Georgia State University and taught 13 years at the University of Montevallo. Professional experience includes illustration and design for NASA, art direction for Performing Arts magazine of Houston and design for Texas Instruments. Clients and publications featuring his work include: Southern Living, National Forum, Georgia Trend, Southern Living Classics, Christian Single, Cooking Light, Performing Arts , Scope magazine of Houston, Smithsonian, The American Dietetic Association, Southpoint, Life, In Health, Parenting, Sports Illustrated, Oxmoor House, Jackhammer Design, Lewis Advertising, Gillis Advertising and Public Relations and Houston Symphony.